Crane Point Industrial LLC's roots go back to 1992 when a pallet lumber customer needed to find a nail made with a higher precision for their Viking machines. Fast forward 26 years, we now import over 1,000 tons of nails per month for use in Vikings, Stortis, Capes, GBNs and the old Morgan Box Nailers. In 2005 we became Master Distributors for Max, Hitachi, Makita, Stanley Bostitch, DeWalt and several other minor brands of tools. In 2013 Crane Point opened their wholesale division to supply construction fasteners and supplies. We are ever adapting and growing with the opportunities provided by our customers. * Purchasing directly from mills and factories in 12 countries including USA, Korea, Taiwan, China, Turkey. Crane Point started as North American Nails in 1996 with a few select customers, high hopes and a container or two of nails per month. We are now one of the major independent companies who have national and international distribution. Crane Point carries a variety of pallet fasteners in Portland, Baltimore, Houston and Long Beach to provide timely deliveries at fair prices. In 2014 Crane Point launched a construction division to service the local Portland Oregon market. We deliver from Medford Oregon to Everett Washington. Come see our contractors store in Wilsonville. Our Forest Grove warehouse also houses a full time staff who are skilled in repairing all of the major models of tools. Our goal is to have common tools repaired within 72 hours and 7 days for specialty tools that need parts ordered. Period of Review (POR) 2 has closed with Mills in Korea and Taiwan receiving .5% to 3% duty rates. This is a significant change for the punitive 78% duty recieved by the major Taiwanese mills in POR1. Once the affect of the steel tariffs in the US settled, the price of steel rose slightly and stablized. There are more opinions on the net effect of the tariffs on the US economy. While steel manufacturers are having a hay day with the increased prices, US manufacturers who purchase the steel products are suffering significant financial losses. Even Ford is projecting billion dollar losses and massive cutbacks. 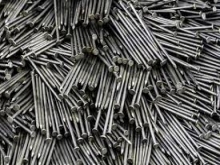 The price of steel in the US is over 33% higher than almost anywhere else in the world. In some cases the cost of the steel for a product in the US is the same as the finished cost of the same product in competing countries.